As Central Ohio continues to support the growth of our company, we in turn want to support the growth of our community and give back to those in need. At Champion, we believe in giving back by making a positive contribution to the communities in which we do business in. One of the main ways we do that is through our Champion Cares Foundation, the mission of which is to support people within the community who are in need with the help of our business relationships, residents and team members. Our company has sustained major growth in the last few years. We now have access to a large audience and an opportunity to use our resources to give back to those in need. To help us carry out our mission, we’re proud to partner with many organizations that share our beliefs and goals. We have chosen to contribute to organizations that align with our mission, including The YWCA Family Center, Big Brothers Big Sisters of Central Ohio, Habitat for Humanity, and Children’s Hunger Alliance. With your help, we have the opportunity to make a big impact on Central Ohio. The Champion Cares Foundation is reaching out to its residents and asking them to round up their rent by $1 every month. Champion has chosen four local organizations to donate to on a quarterly basis. A single resident’s $1/month contribution will result in $12/year. You may not think $12 can make a big difference, however, if you take into account the number of apartments Champion owns, that $12 easily turns into more than $48,000 annually. We are in this together. Champion will match, dollar for dollar, every $1 donation that is given to the Champion Cares Foundation. *Champion will gladly accept donations that are larger than $1, however, will only match $1 contributions from each Champion apartment. Four great, local charities benefiting from your $1/month donation. YWCA Family Center is dedicated to eliminating racism, empowering women and promoting peace, justice, freedom and dignity for all. The YWCA Family Center provides emergency shelter and critical services to stabilize homeless families in Central Ohio. A national model, more than 70% of the families who use the YWCA Family Center are able to find housing within 21 days of entering the program. 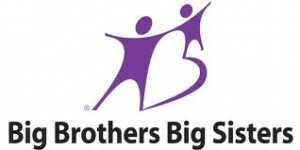 Big Brothers Big Sisters of Central Ohio is a non-profit prevention-based agency that serves the community by providing quality mentoring relationships to children and youth in need of a friend. Big Brothers Big Sisters has a rich history of nurturing friendships between caring adult volunteers and promising children and youth. For more than 75 years, Big Brothers Big Sisters has served many thousands of children and youth in Franklin, Delaware and Union counties through its mentoring and camping programs. More than 25% of Ohio households with children reported there was a time in the last year when they were unable to buy enough food. Children’s Hunger Alliance is known for feeding hungry minds and bodies. CHA works to ensure all children are fed regular and nutritious meals and develop lifelong healthy eating habits. CHA does this by directly feeding children, increasing easy access to nutritious food and educating children about healthy food choices and physical activity. Affordable, decent housing is one of our most basic human needs, yet it is in alarmingly short supply in our very own neighborhoods and throughout the world. A decent place to call home creates stability, launching families onto a positive trajectory of generational change that includes hope, improved health, and a better quality of life. Habitat for Humanity-MidOhio has spent more than a quarter century bringing the dream of homeownership to families in need.